Márcio Junqueira Leite has been a member of the São Paulo office of Pinheiro Neto Advogados since 2000. His areas of practice comprise intellectual property, technology, media and entertainment law and commercial litigation. He graduated in 2000 from the Pontifical Catholic University of São Paulo School of Law and has a postgraduate degree in civil procedure from the same university (2005); a master’s degree in commercial law from the University of São Paulo Law School (2011) and a postgraduate degree in entertainment law from the International Institute of Social Sciences (2013). In 2017, he attended the International Professional Certificate Summer Program in US Intellectual Property Law at Stanford Law School. He acts as specialist, mediator and arbitrator of the Dispute Resolution Chamber of the Brazilian Association of Intellectual Property (ABPI) and the Brazilian Franchise Association. 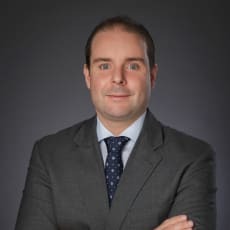 He is a member of the International Trademark Association, ABPI, the Brazilian Association of the Industrial Property Agents and is editorial director of the Paulista Association of Intellectual Property. In 2015, he published the book Second Use Patents in Brazil (Almedina).